It’s been an action packed term so we thought we’d update you on some of the things that are happening. We’ve had Visit Days for new applicants, we’ve been visiting and researching our local museums and we’ve been watching as the changes to the Museum of English Rural Life start to take shape. 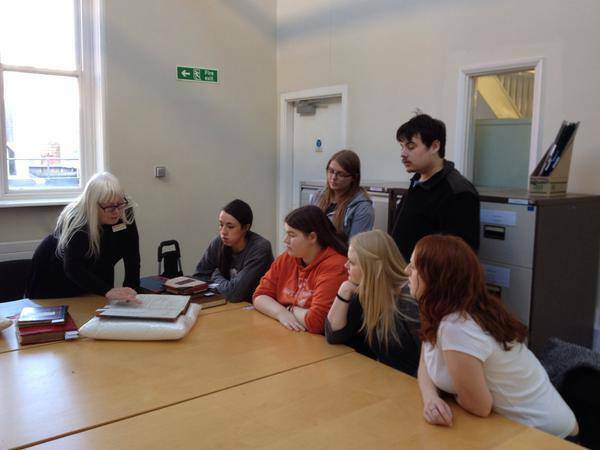 This term we have the modules ‘Museum History, Policy and Ethics’ and ‘Curatorship and Collections Management’ running. On Thursday one of our former students and members of staff Jen Allison is coming back to talk to our ‘Curatorship’ students about her role as Curator at REME Museum. They have a big move coming up soon so she’ll have a lot to tell our students about. 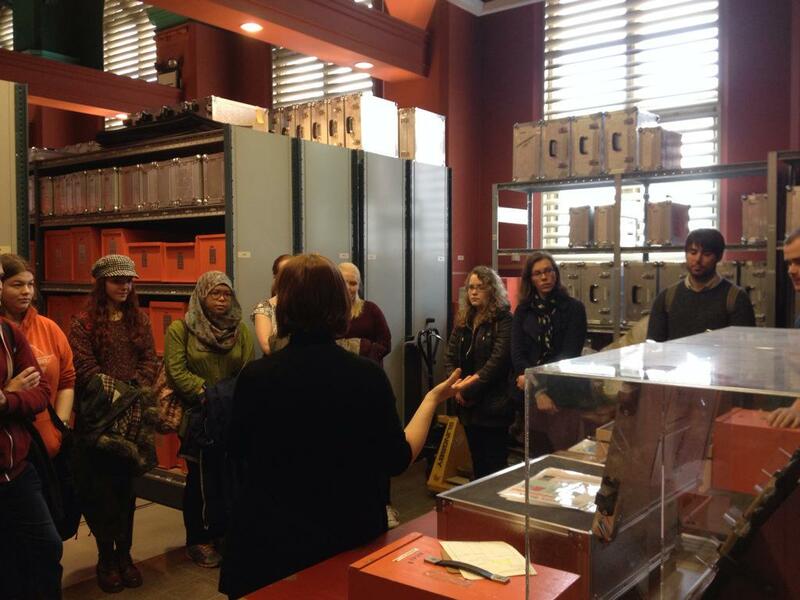 Our ‘Museum History, Policy and Ethics’ students were welcomed at Reading Museum last week. 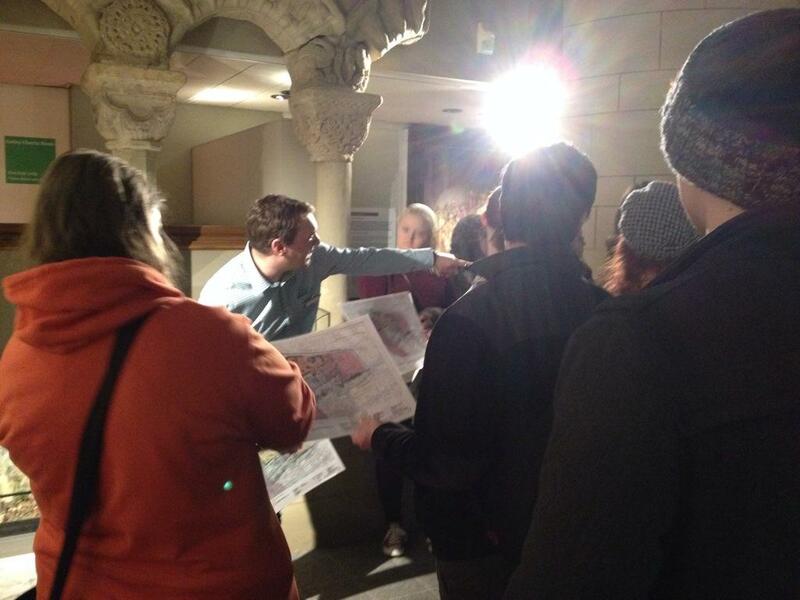 They got to see the early records of the museum and to explore how the collection was formed. 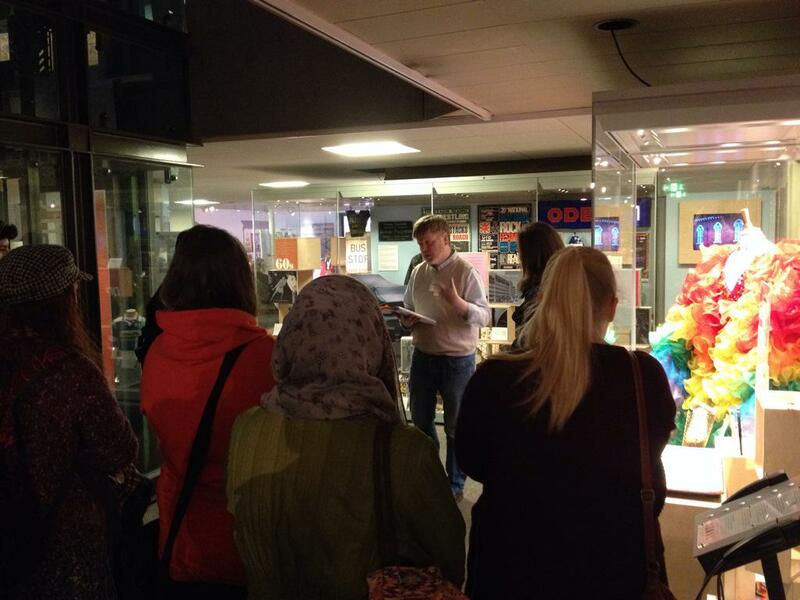 Staff also talked about what it means to work in a local authority museum in the 21st century. We heard about the new Reading Abbey Quarter HLF bid, the long running loans box scheme, and the recent project ‘Hidden Voices’ which explores Reading’s LGBT history. Blog wise we’ve been a little quiet this year. However, we have plans for much more regular updates which will explore Reading based projects, talk to people in the sector about their careers, and provide hints and tips for people interested in museums. Last but not least there is a new vlog series in town called ‘How Many Curators?’ It is an informal and light hearted look behind the scenes of our museum, library and archive service. We hope you enjoy it. This entry was posted in General updates, Museum Studies, Reading and tagged Hidden Voices Project, How Many Curators?, Loans Box, Reading Abbey, Reading Museum. Bookmark the permalink.